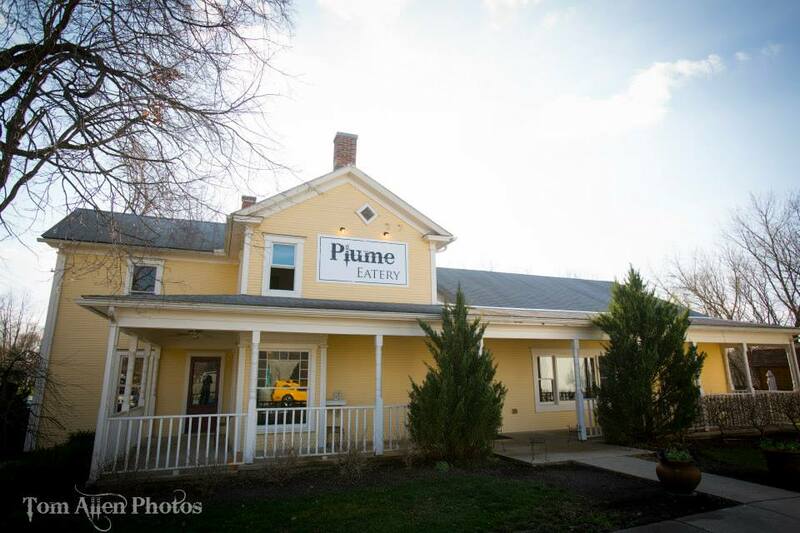 While Waynesville, Ohio, might not be a top Zagat dining destination, those of you who cruised down the bike trail this past weekend probably smelled the juicy burgers cooking long before you saw the sunny-yellow house, home to new restaurant Plume. Those burgers—topped with cheddar cheese and creamy cole slaw—are poised to join all the “top burger” lists around town. And it doesn’t hurt that they’re served with housemade kettle chips and chipotle ketchup. Chef Tami Wooten (formerly of Café 45140) also serves up vegeterian specialties, including the veg wrap with scratch-made falafel, sprouts, tomato, cucumber and piquillo aioli. On my next visit, I plan to order the power salad, a wheatberry-based blend of tofu, hard-boiled eggs, pickled onions, goat cheese, carrots, radishes, tomatoes, and a sun-dried tomato vinaigrette. Plume is currently open Tuesday through Saturday for lunch service, but they’ll add dinner, with an emphasis on modern comfort food, starting May 1.